Castagna was a historic coachbuilder from the 1920's and 1930's producing famous bodies for Alfa Romeo and Lancias amongst others before disappearing into history like so many famous names. 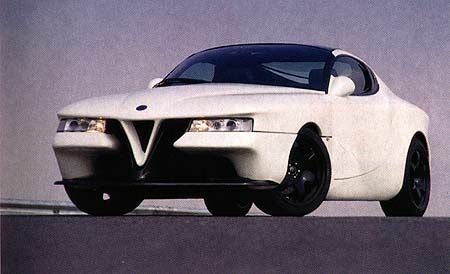 However in 1995 Italian businessman Uberto Petra revived the name and produced this Alfa SZ based prototype, designed by Gioacchino Acampora, named the "Vittoria" after Petra's eldest daughter. 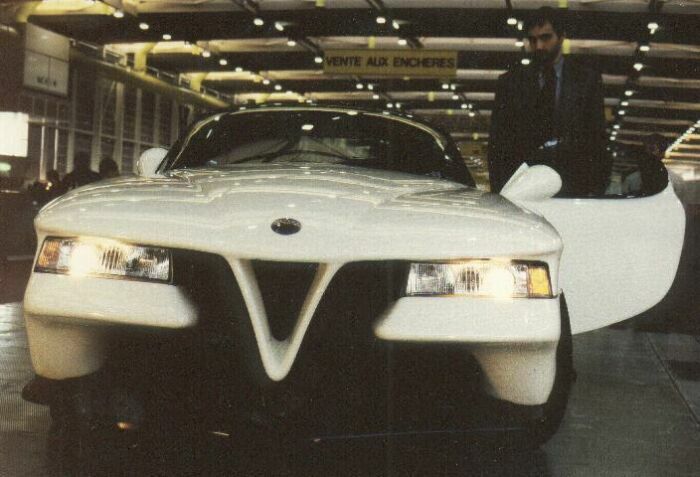 Based on the SZ/RZ limited run Alfa Romeo sportscar, which itself was based on an uprated Alfa Romeo 75 3.0 V6 floorpan and mechanicals. Castagna claim that their reworked 3.0 V6 engine produced 320 bhp @ 7,000 rpm ( against the standard car's 180 bhp ) while still retaining the original single camshaft per head setup. The Alfa Romeo's front wishbone and rear de Dion suspension was upgraded with stiffer springs and dampers, nylon and rose jointed bushes, and revised geometry. The brakes were uprated with Brembo 6-pot calliper, cross-drilled and vented discs, while the prototype ran on 18in magnesium alloy wheels. The styling was controversial. The front and rear ends seemed to have chunks missing. 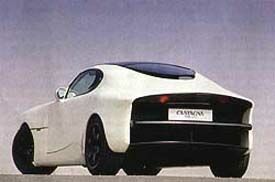 The front had an uncomfortable sop to the traditional heart which sat in a void where the front bodywork should sit. The rear looked as if the designer had attempted to recreate the styling of the famous TZ models, but again it seemed as if sections were missing. 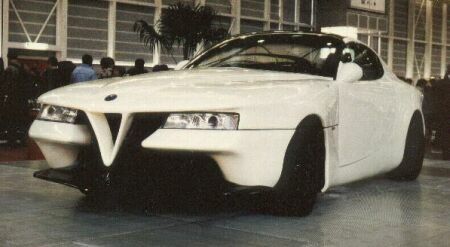 The white colour scheme with the front and rear ends detailed in black did nothing for the cars aesthetic looks, the overall appearance being disjointed and untidy. 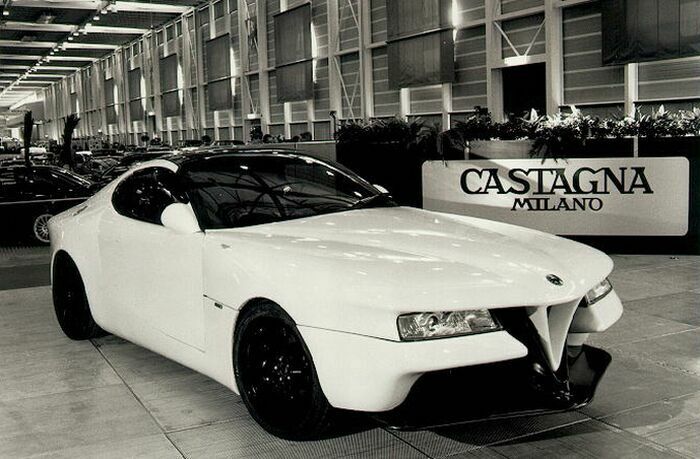 The Castagna Vittoria made its debut at the 1995 Geneva Motor Show. Photos of the Castagna Vittoria at the Geneva Motor Show are ©Peter Madle ( www.madle.org ) and used with his kind permission. They may not be downloaded or reproduced for either personal or commercial aplications.